Once the novelty of getting married wears off and you put the last piece of a wedding cake into the fridge, you’ll need to consider what to do with a dress that you’ve spent a lot of money on, but only put it on for once. Unless you want to save it for sentimental reasons, there is no reason to let it be in your closet and collect dust. Besides, the idea of selling a wedding dress is getting more and more popular among modern brides. Therefore, you may ask yourself: “How should I sell my wedding dress?” Below you’ll find the most important tips on how and where to sell the dress. If you want to sell the wedding dress quickly and easily, search for consignment boutiques and resale shops in your community. Some of them take your dress and give you money after they sell it; others make a contract and pay you straight away. Whichever shop you choose, they always handle the selling work and can attract more buyers to sell the dress more successfully. Bridal boutiques prefer selling new dresses, but you can always contact a boutique owner and show your dress to them. You want to bring it in a perfect condition without odors or strains and be prepared to answer questions from the dress' story. Let the owner keep part of the sale price and they will be more willing to work with you. Local photographers and florists can also help advertise the dress: provide them with some nice pictures of it and ask if they could hang photos up somewhere for clients to see it. So get along well with your vendors! eBay: Where to sell your wedding dress? Think of the benefits eBay can deliver. To start with, it's the biggest platform to sell the dress, thus selling and shipping is quite easy to organize. Before listing your dress there, do some research on other wedding dresses available on eBay. It will help you set the price and make a proper description of the dress. If you have some funny or creative story to tell about this dress, always take your time to record it since you could attract more buyers. Don't forget to create a catchy title and add some nice pictures. Tradesy: Tradesy is a fashion-forward website with a nice interface and a quick listing process. Users can shop for a wedding dress by the label and if your dress is a recognizable brand like Vera Wang, you can sell it faster and for a higher price. NearlyNewlywed: Nearly Newlywed is a leading online resale shop, which helps women to sell back the used wedding dresses. The seller should pay a 25% commission rate and go through an application process, but the authenticity check makes this site one of the most reliable online marketplaces for buyers and sellers of wedding dresses. OnceWed: Once Wed is an online marketplace for used wedding dresses that can remind you of Pinterest. If you’re aware of a set price, Once Wed is easy to use: create an account, list the dress for free and wait for buyers. You can also discuss prices to sell it quicker. EncoreBridal: Encore Bridal is an online boutique that specializes in second-hand and new discounted wedding dresses. The site only gets 100 gowns at a time, so yours won’t be lost in the shuffle. Sellers can get between 45% and 60% of the dress’ selling price. PreownedWeddingDressed: Offering more than 20,000 second-hand wedding dresses, Preowned Wedding Dressed has been on the market for over 10 years and has a large selection of dresses. You can list the used gown for a fee of $25 and negotiate prices directly with buyers. Besides, you can also sell bridesmaid and mother of the bride dresses. 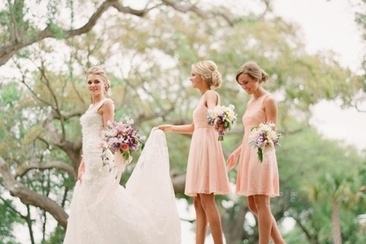 Where to sell your wedding dress? This is definitely a good choice. SellMyWeddingDress: This is an online platform that allows selling used wedding dresses, as well as accessories. With $19.97, you can create an account, list your dress and write a catchy name. Pick the price and let the offers roll in. 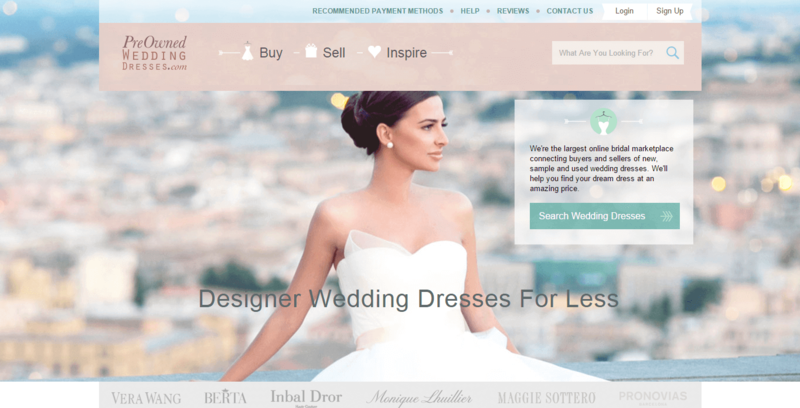 StillWhite: This is a marketplace designed for used wedding dresses. This site is pretty straightforward and lets users browse by brand and dress condition. You can create an account for $19.95 or upgrade to a premium for $29.95, which means the dress will be promoted to the site. This online site takes no commission, meaning you can keep all of your sales. According to researches, the best time to sell the dress online is between February and March while Thanksgiving and New Year's periods are the worst ones. Not only the timing but also the condition of the dress is important. Some brides even pre-sell the dress before the big day. Newer-worn dresses are sold for the highest prices, though once-worn with no damage are also pretty popular. Vintage dresses are also a big trend, but it is much harder to sell three years old dress. 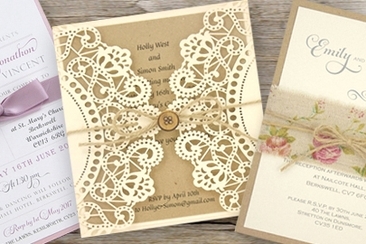 Always provide possible buyers with detailed information about your dress. Be honest and write about any imperfection or damage the dress has. To make the price higher, include info about beads, crystals, and pearls as well as the original price. Take good photos of your entire dress and add some close-up pictures of sequins and unique patterns that you think may attract more potential buyers. There are certain types of dresses like short, ivory or plus-sized gowns that attract the most attention. So, if yours belongs to these types, add these keywords in your description. When Should I Buy a Wedding Dress? When should I buy a wedding dress? Nine months is the recommended minimum to begin the search for the perfect gown. Shipping and alternations should be considered, so buy it early. 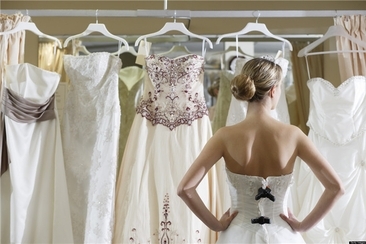 Few wedding dress fittings are needed to find the perfect dress for your wedding day. Learn what to bring and what to expect when you go in for your fittings here. Can You Have 2 Maid of Honors? Can you have 2 maid of honors? Yes, you can have as many as you wish. But how would you arrange the wedding if you intend to do so? Find answers here. Hayden Panettiere’s fiancé, Wladimir Klitschko, might be a bear in the ring but he’s a teddy bear in real life. Click here for more on his relationship with Hayden.